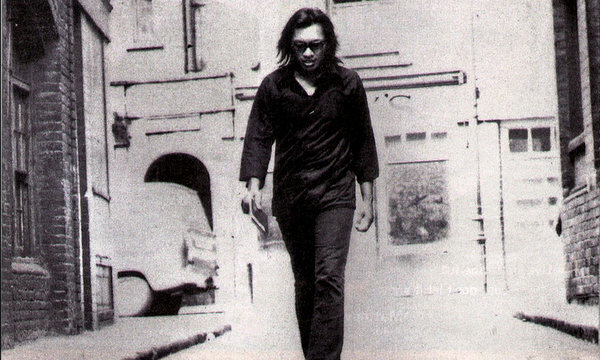 Sixto Rodriguez, generally known as just Rodriguez, was a Detroit-based folk singer who recorded only two albums (1970's Cold Fact and 1971's Coming from Reality), both of which under-performed and led to him being dropped from his label. Truly, his was the sort of career that longed for even the semi-obscurity of someone like Nick Drake, though it didn't even have posthumous rediscovery going for it since no one knew what became of him. Rodriguez seemed to disappear, yet another also-ran who tried to become the next Bob Dylan and missed. At least, that was the story as far as America was concerned, but Rodriguez's story did not end with America. Somehow, copies of Cold Fact and Coming from Reality made their way to South Africa, where they quickly became an underground sensation. Through importing and bootlegging, the albums became ubiquitous, and Rodriguez's music was as popular in South Africa as that of The Beatles or The Rolling Stones. Both albums were re-issued numerous times, selling hundreds of thousands of copies. It took the notion of being "big in Japan" to crazy new heights, especially since, owing to the cultural embargo imposed on the country during Apartheid, people in South Africa didn't realise that someone held up as something of an iconic figure was completely unknown in his native America. It was only after Apartheid ended and South Africans started to interact with the rest of the world that this disparity really came to light. It was also around this time that people began to realise just how little was known about Rodriguez. Many had assumed that they couldn't find out anything about him during Apartheid because it was so difficult to learn about anything that wasn't relayed through the government-controlled media, not because there was genuinely nothing known about him. Even the one thing that most people agreed upon - that Rodriguez killed himself on-stage sometime in the '70s - was shrouded in uncertainty: did he set himself alight, or put a gun to his head? This mystery fascinated Stephen 'Sugar' Segerman and Craig Bartholomew-Strydom, a jeweler and music journalist respectively, who were both huge fans of Rodriguez, and through their shared interest they began a journey to discover what really happened to him. As it weaves through the strange twists and turns of the investigation, Malik Bendjelloul's film reveals itself to be not merely a bizarrely compelling, too good (or too strange) to be true tale, but a moving examination of the nature of being fan, as well as the unfathomable importance of art. Rodriguez's music became so successful in South Africa not merely because of how good the songs were - though, for the record, they are pretty great - but because of their anti-establishment sentiment, rooted as it was in Rodriguez's personal experiences of living amongst the down and outs of America in the '60s. This chimed with the mood of young Afrikaners who opposed the repressive Apartheid regime, and his records became a touchstone for a whole generation or musicians and artists who sought to fight against a monstrous regime through their art. Unbeknownst to anyone involved with the records, Rodriguez's music was having a seismic impact on the hearts and minds of people in a country he had never visited, so much so that the government took to scratching out certain tracks on copies of Cold Fact because of their perceived power. It's a really rather beautiful illustration of how something as ephemeral as music can have a tangible impact on the lives of ordinary people, inspiring them to try to do something to change the world. It's a wonderful, heartening story, the specifics of which are best experienced, rather than revealed beforehand. Rodriguez's story is undoubtedly a strange one, and one that Searching for Sugar Man treats with the just the right mixture of reverence and humour to make the mystery engaging without becoming overly serious. In the process, Bendjelloul delivers a film that is utterly delightful, and at times almost transcendant in its ability to convey how the art of a single person can have an incalculable effect on the lives of others. Befitting the man himself, it does so in a way which is humble and unassuming, which ultimately emphasises its power. Editor's note: This review was edited on the 29th of September, 2012 to remove a reference to Rodriguez's music receiving airplay on South African radio, after it was pointed out that this would have been unlikely.